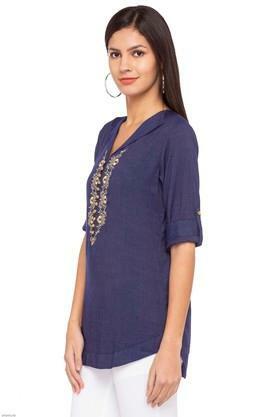 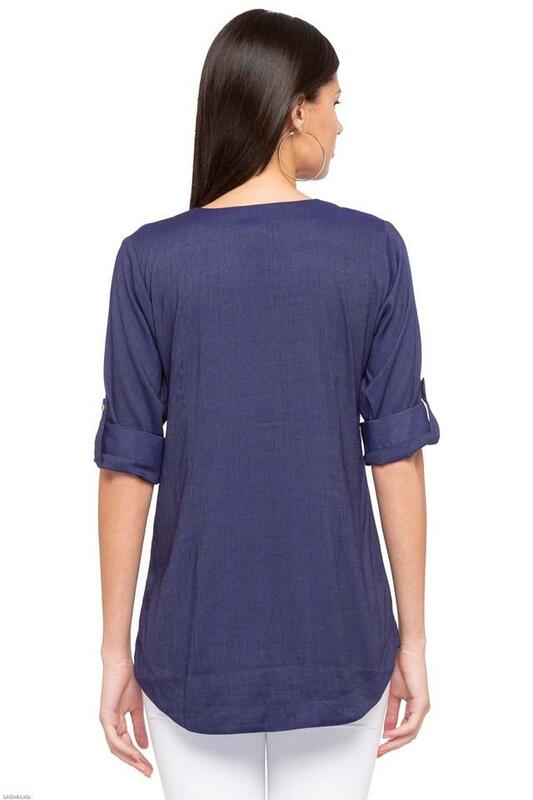 Keep your casual look simple yet stylish as you wear this tunic from Sanaa. Made from good quality fabric, this tunic comes in a perfect fit and will be comfortable all day long. 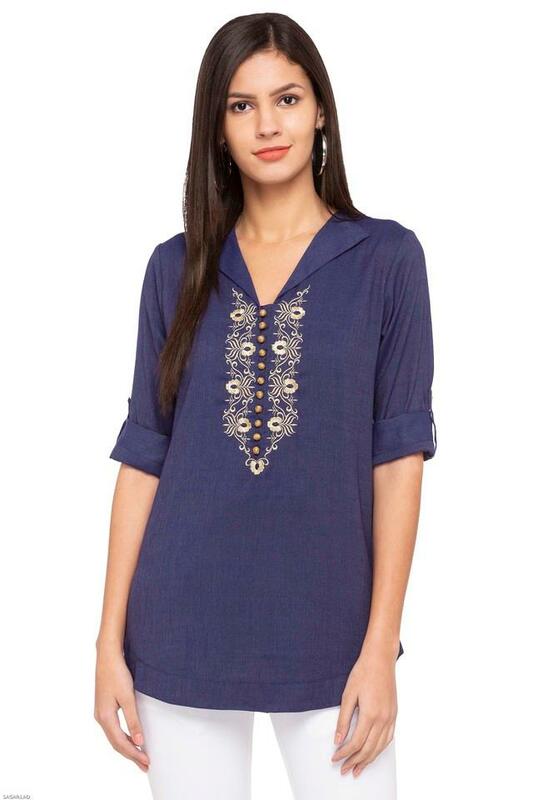 Featuring a v- neck, rollup sleeves and embroidered pattern, this tunic comes with a trendy enticement.